A chicken tractor is basically a movable cage. 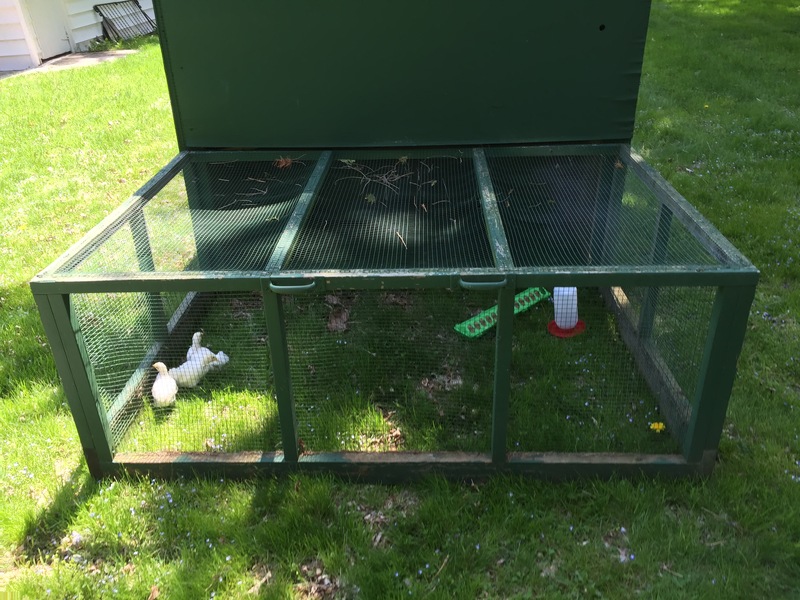 It allows the chickens to have fresh air while keeping them safe from predators. It is designed to be moved every few days so one patch of grass is not ruined by the chickens. 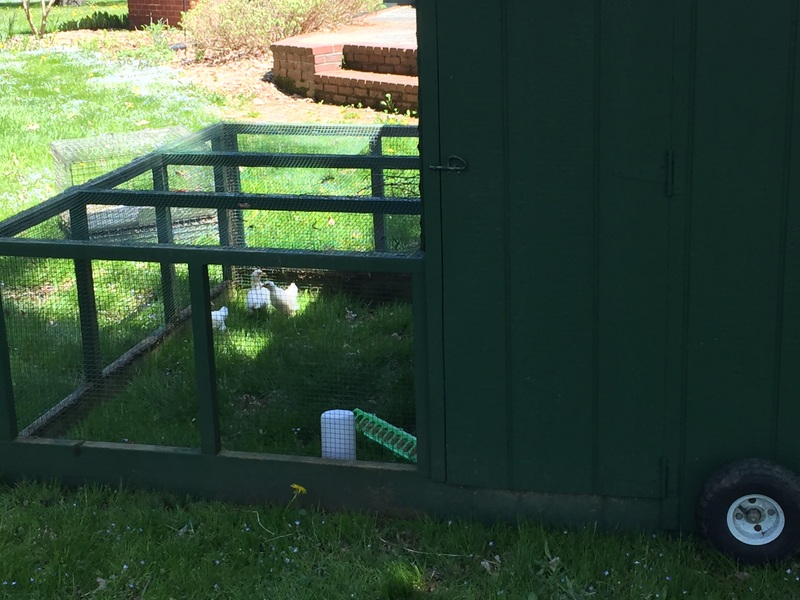 Moving it also allows the chickens to help eat the bugs from a new patch of grass. In the next couple of photos, you can see the wheels on one end. 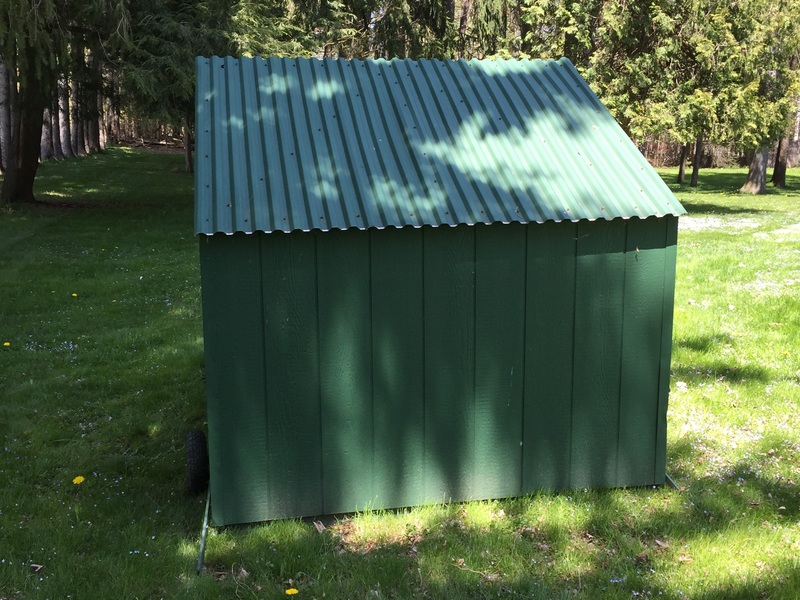 When the wheels are levered into position, the chicken tractor can be rolled to a new spot. This is back half of the chicken tractor which provides shelter – it also contains roosting bars and several nest boxes for the chickens. Back view of the chicken tractor. Here is a side view of the chicken tractor. It shows the access door so we can get in and out to refill their water. It also shows the open air portion so the chickens can sun bathe if they want. Side view of the chicken tractor. Front of the chicken tractor. This entry was posted in Animals, Farm and tagged animals, chickens, farm by Dan. Bookmark the permalink. The chicken tractor is a simple but clever structure. I hope the bantam cochins don’t get bullied by the larger birds! The cochins mostly stay out of the way of the larger birds so far. We haven’t seen much direct bullying, but when some of the other hens approach, the cochins usually move out of their way and defer to the larger ones for first dibs at food, etc.